Eliminate Full Price: How I got 2 pairs of leggings worth $105 from Neiman Marcus for $5.46! How I got 2 pairs of leggings worth $105 from Neiman Marcus for $5.46! Sometimes it's worth it to subscribe to department store e-mails. On September 23rd, I received an e-mail from Neiman Marcus with the subject "For a limited time: Receive $50 OFF with purchase." At first I thought the offer would require a purchase minimum like $100 or more so I ignored it. While I was browsing Slickdeals, someone posted that Neiman Marcus was sending e-mail subscribers $50 off any women's apparel purchase with no minimum amount required. It seemed too good to be true so I went to Neiman Marcus' website to look for something. I found a pair of Neon Buddha leggings worth $55 and went to check out to see if I'd get $50 off. After I entered my e-mail address, $50 was deducted from my total! There was free shipping so after taxes I only paid $5.46 for a pair of leggings worth $55! The next night, I was reading on Slickdeals that other users who had subscribed to Neiman Marcus e-mails on different e-mail accounts had successfully done the deal twice. I had another e-mail that I used to order from Neiman Marcus in 2009 so I tried ordering with that e-mail and I was able to get a pair of XCVI worth $50 for free! I am impressed that Neiman Marcus was generous enough to give e-mail subscribers an opportunity to get $50 off any women's apparel. I really hope they do this again. $55.00 - $5.46 = $49.54 savings! 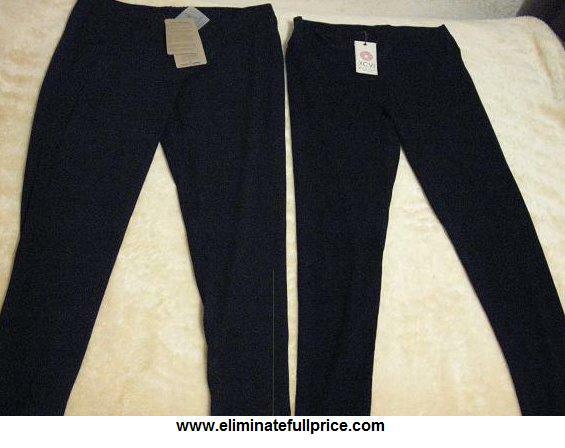 There's no tax charged on a $0.00 so my total savings on these leggings is $50.00!